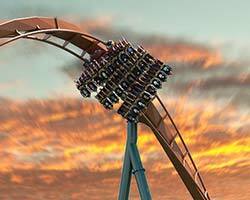 Halloween Haunt is back and once again Canada’s Wonderland has been transformed into an epic nightmare! With the debut of new maze The Crypt and scare zone Wicked Hollow, let’s take a look behind-the-scenes at the amazing creativity that goes into making this month-long celebration a huge success each year. 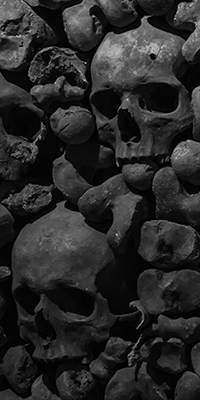 The real MVPs of Halloween Haunt are our creative design team who head up the production and execution of the most stunning set designs that enhance the Halloween experience for our guests. From massive entryways to detailed wall coverings, this team is responsible for the insanely detailed effort that brings the Haunt atmosphere to life. Believe it or not, though Halloween Haunt runs September to October, the planning starts in June. In order to decide what elements to spotlight, the team first goes through each past-featured maze and scare zone to see what needs to be touched up. 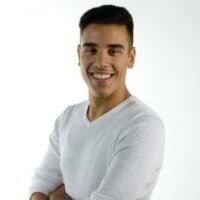 If a certain theme becomes obsolete they will re-use its elements to create a brand-new theme. 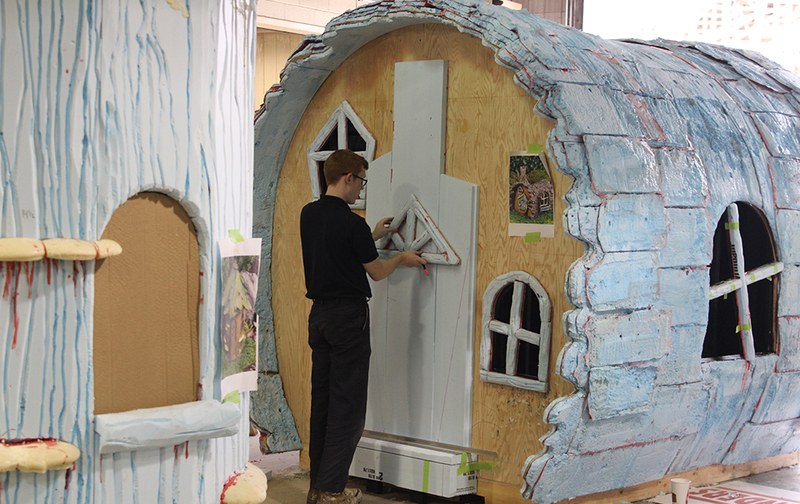 Many of the processes involved in creating something remarkable is done with paint, silicone and collaboration with the carpentry team for some of the larger structures that are used. From painting a simple fence to creating skeleton foam molds, depending on the element, it could take anywhere from an hour to a week to complete a project. Two of our new attractions at Haunt are the scare zone Wicked Hollow and maze The Crypt. 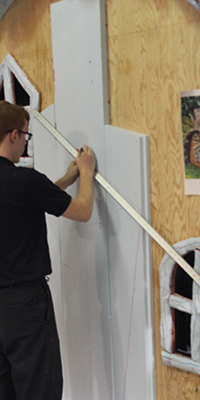 Above, members of the creative team work on measurements for the front door of a structure created to serve as the home of our wicked fairies and nasty gnomes you’ll encounter in this particular scare zone. An appropriately themed woodland mailbox was used as a final touch to bring this incredible structure together. The team starts the process off by creating the mold casings by hand. Frames are fitted to keep the liquid foam inside the molds. After measuring the foam, the substances are mixed together with a mechanical drill outfitted with a mix attachment. 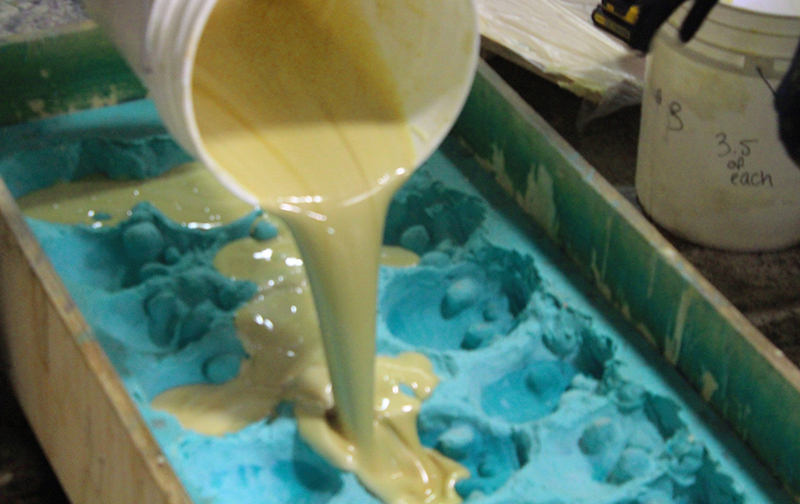 The next step has the team pouring and distributing the substance into the mold casing evenly allowing each crevice of the casing to be filled. By using their hands, they can evenly distribute the substance to avoid air bubbles. 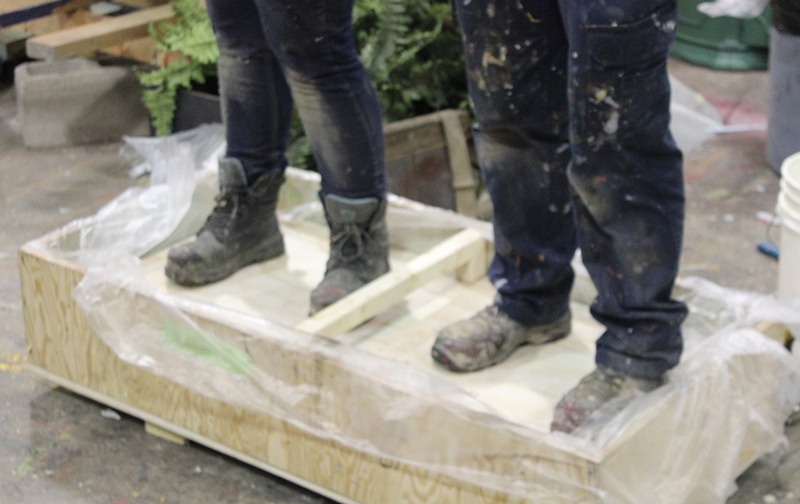 After the substance is distributed evenly, the team closes the lid and stands on top of the box. The added weight allows the substance to quickly rise and turn into foam. After the foam sets, the team removes the lids and allows the foam to cool off for about 10 minutes. 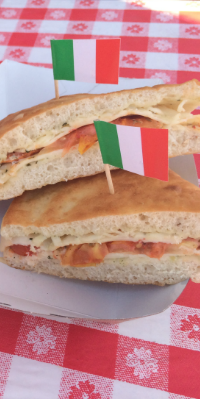 Just like how a cake or a pizza silicone would need to cool off after it rises! The team then takes the box apart and lifts up the silicone. 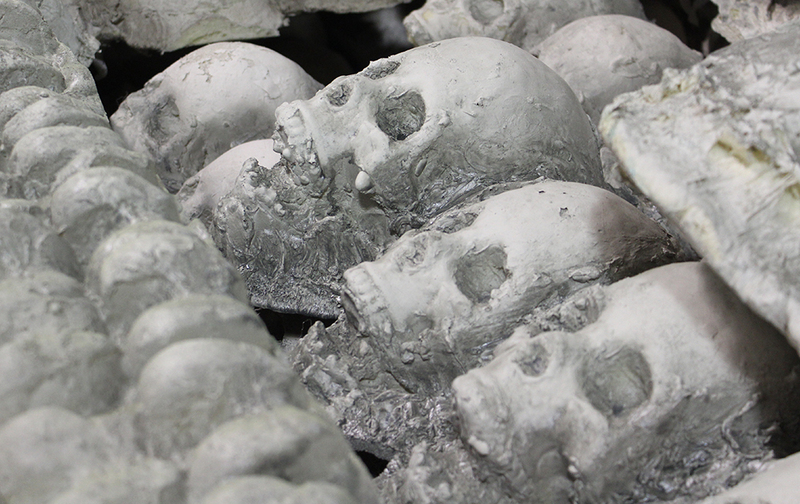 After it cools, they seal the foam with the appropriate colours to enhance the skull’s appearance. WARNING: the final result may cause you to SCREAM! 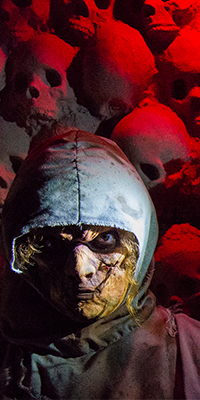 Now it’s time to come out for a visit and see these stunning masterpieces at work in our new Halloween Haunt attractions. 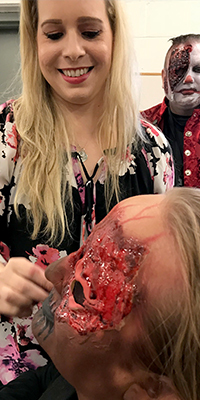 With Halloween just around the corner, we asked Rachel Authors, a 12-year Halloween Haunt Special Effects Makeup Artist, for some DIY tips and tricks for recreating some of the creepy monster looks you see at the park. 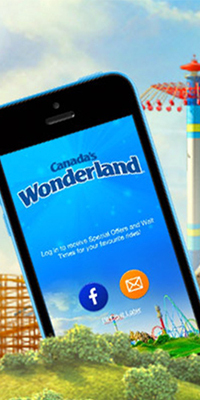 When is the best time to buy a Canada’s Wonderland Season Pass? 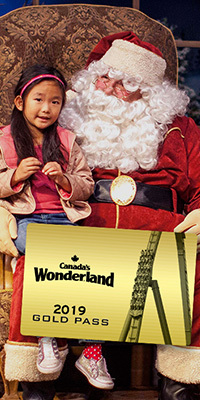 As a Canada’s Wonderland employee, the question I get asked the most by friends and family is “when is the best time to buy a Season Pass?” The answer is simple. 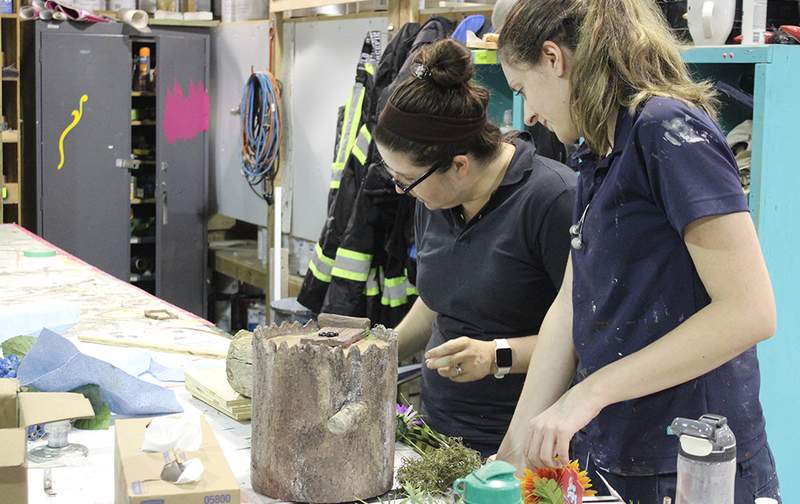 Take a behind-the-scenes look of the amazing creativity that goes into making all of the prosthetics that bring our monsters to life during Halloween Haunt. 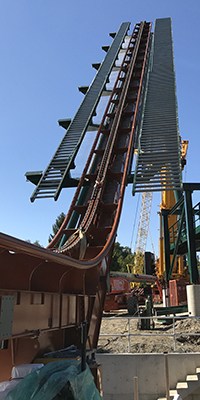 It was only two months ago that Canada’s Wonderland announced it was building a world-record breaking dive roller coaster, and as of mid-October, Yukon Striker’s imposing lift hill and 90-degree, 245-foot drop into an underwater tunnel will be complete. 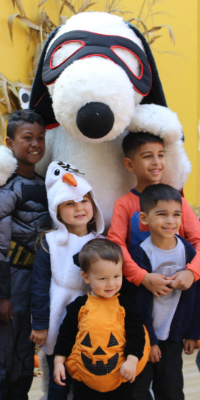 Kids and parents alike can join Snoopy and the Peanuts gang every Saturday and Sunday until Oct. 28. to experience scare-free attractions, live shows, costume parties, foam pits, mazes and so much more! With the debut of new maze The Crypt and scare zone Wicked Hollow, take a look behind-the-scenes at the amazing creativity that goes into making this month-long celebration a huge success each year. 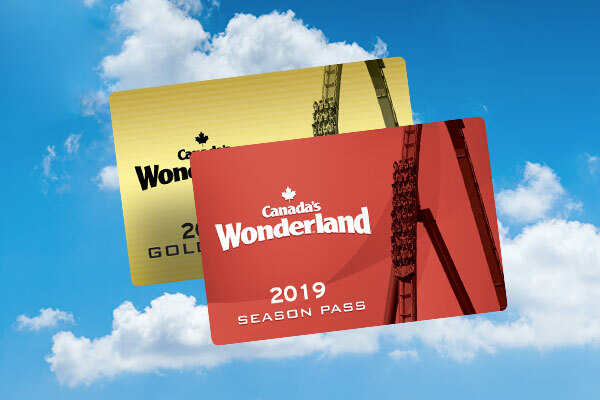 In addition to getting unlimited visits to Canada’s Wonderland and Splash Works like you would with a regular Season Pass, the 2019 Gold Pass will also get you unlimited visits to Halloween Haunt AND the new WinterFest. Halloween will soon be upon us, and the monsters at Canada’s Wonderland are dying to be let loose on our unsuspecting guests. Halloween Haunt returns for 14 terrifying nights beginning Sept. 29. Downloading our Mobile App will put you in control of your day, allowing you to take advantage of all the things you want to see and do during your visit. 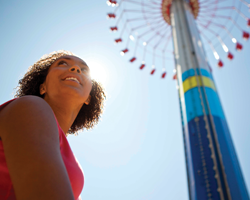 It’s like having a personal assistant right at your fingertips to help you navigate the park. 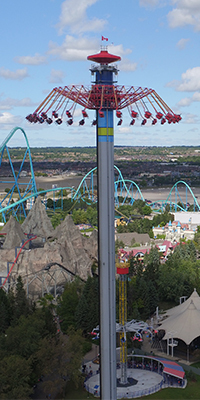 Who needs to hop on an airplane to get cultured this summer when you can head to Canada’s Wonderland and have a little taste of what Europe has to offer? !